I’m not sure how my sister Lexi and I came up with this punch recipe, but it’s just ridiculously good. Despite the strong alcohol trifecta in play with this one, it tastes just like a smooth, delicious caramel apple. Plus, the Goldschlager, usually the troublemaker at the party, plays nice here with the perfect flavor of cinnamon. A little Martinelli’s on top for sparkle and a good quality fresh apple cider for body and you are in business. We serve this cold, but you can absolutely have it warm as well – just make sure to add the alcohol after you’ve warmed the cider. This recipe also doubles and triples well into a punch for a bunch, so don’t be afraid to break it out at your next Halloween or Christmas party. 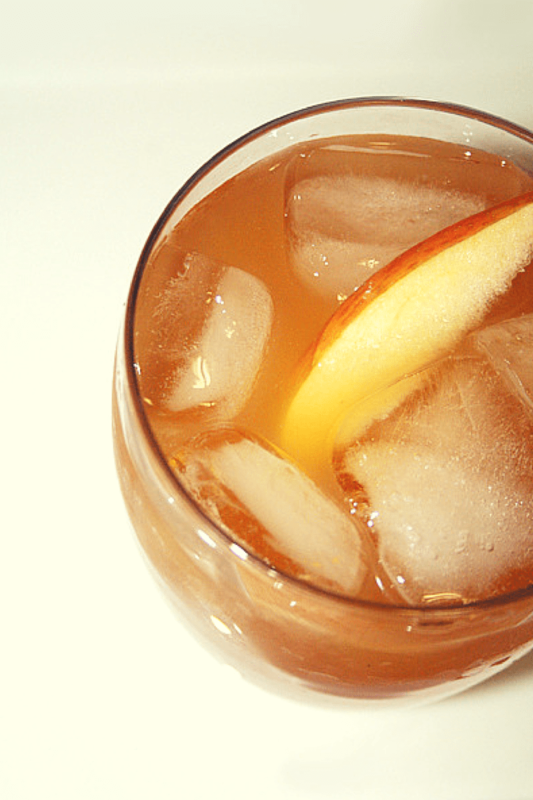 Fill a highball glass with ice and add the Apple Pucker, Goldschlager and Schnapps in that order. Fill the glass just about up to the top with apple cider and then top with a splash of the sparkling cider. Garnish with a slender apple wedge. To make as a punch, combine 1 part Goldschlager, 1 part Sour Apple Pucker and 2 parts Butterscotch Schnapps. Add 4 parts fresh apple cider and 1 part sparkling cider on top right before serving. Serve in a punch bowl with thin slices of apple rings and the ice on the side.